As the days tick down for Budget 2017 Finance Minister Ravi Karunanayake yesterday stepped forward on tax issues, insisting that the Government would focus on a “consistent and coherent” system as well as opening up space for key investment areas including housing and the implementation of anti-dumping legislation in January. Responding to issues, suggestions and comments from the business community at the sixth consecutive annual pre-Budget forum jointly organised by the Daily FT and the Colombo MBA Alumni Association and supported by the Standard Chartered Bank, the Finance Minister fought hard for the policies of the Government and acknowledged several points including efficient collection had been successfully upgraded by the Government. “VAT certainly is a tax that was accepted by many. Don’t say it was because the IMF came here and ordered us. Even if Kim Jong-un from North Korea comes here and tells us what is correct, we will do it. Trying to say that the IMF told us is something that we want to put a stop to. We are a sovereign nation, we are professionals, and we don’t need foreigners to tell us how to run our economy. We certainly can do better than them,” he said. Karunanayake also explained that many of the taxes outlined in Budget 2016 could not be implemented because of numerous court cases lodged against them resulting in a significant loss of revenue, which the Government had leveraged against by taxing previously exempted sectors. He also pointed out that private healthcare had been given concessions from the VAT increase of 15% by the Government taxing gold transactions. 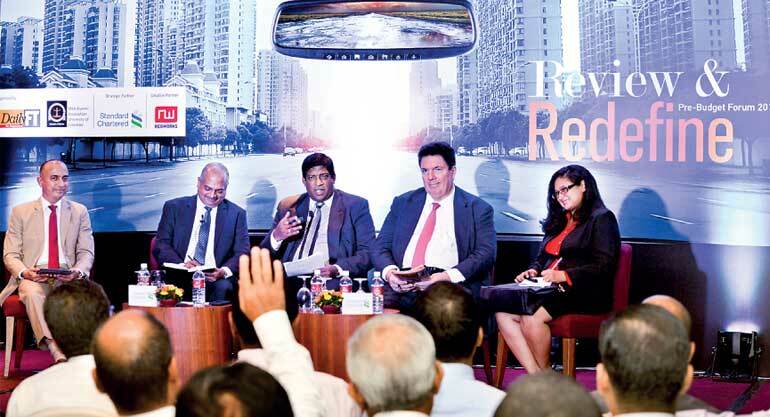 Despite the challenges, the Government has refused to budge from its fiscal consolidation process, a point Karunanayake called on rating organisations to take note of when they were evaluating the economy. “It is going to be a revolutionary budget looking at all sectors. If everybody is paying their share of taxes there is no need to rob from anybody to give to the poor,” he said. One crucial inclusion in Budget 2017 would be encouragement for the housing sector as the Government has identified the need for about 500,000 houses. The Finance Minister noted that tenders for 22 projects would be called with the Government providing the land and later buying back the houses. Karunanayake also hinted that the Budget would facilitate paying students in higher education and aid entreport trade. He reiterated that banks should move out of leasing-related activities.